New Delhi : Ambanis’ and their extravagant parties is not hidden to anyone. Recently, the world witnessed the fairy-like wedding ceremony of Asia's richest man Mukesh Ambani and wife Nita Ambani’s son Akash Ambani. He got married to his childhood sweetheart Shloka Mehta, daughter of diamond merchant Russell Mehta. The big fat Indian wedding was held on March 9, 2019 and till today, they are making buzz in the Internet. 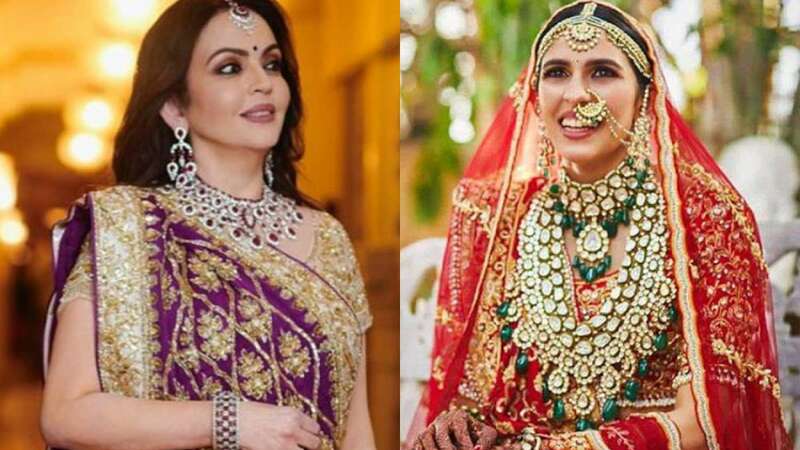 While the nook and corner was adorned with expensive decor items, flowers and artifacts, Nita Ambani's gift for her 'bahu' Shloka Mehta' became the talk of town. The mother-in-law gifted the the most expensive diamond necklace which cost around Rs 300 crores. Can you imagine! According to Womanseara, Nita Ambani had bought the most expensive diamond necklace in the world, ‘L’Incomparable. As per design and cut, this diamond necklace is a work of art and it is worth of Rs 300 crores. If reports are anything to go by, Nita wanted to gift Shloka the heritage gold necklace of their family. According to her, this necklace is in their family for generations and it is the duty of the elder daughter-in-law to keep it well in her collection. Nita Ambani got it from her mother-in-law and she wanted to hand it over to Shloka. But then she changed her mind and planned something else for shloka. Ofcourse, Shloka was overwhelmed with joy as mother-in-law had bought this for her. Apart from the most expensive gift from her mother-in-law, we came to know that Shloka Mehta’s sister-in-law Isha Ambani gifted her bhabhi a palatial bungalow.